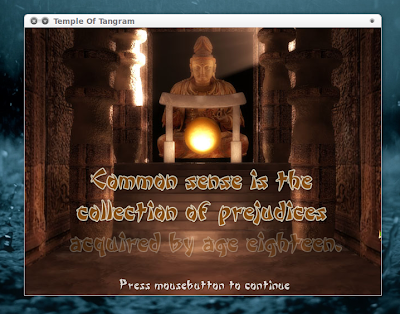 Temple of Tangram Puzzle Game Now Has a Linux Version! 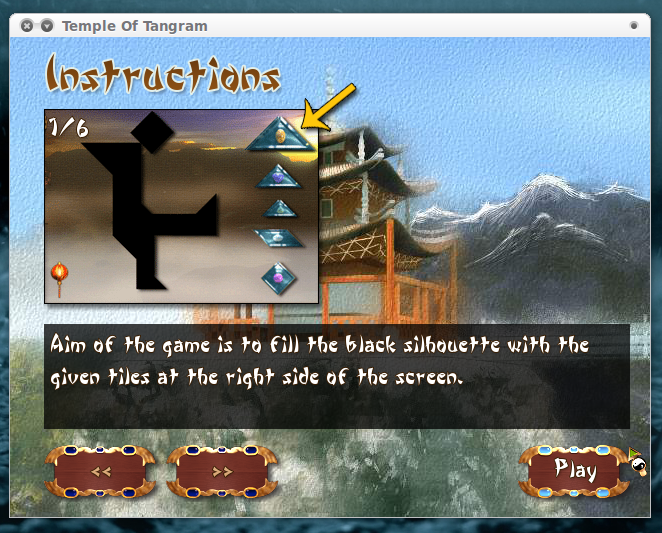 Almost a day ago, developer Jochen Heizmann from Intermediaware informed us about the Linux port of his popular puzzle game Temple Of Tangram. I had never heard of it before(I am not an avid gamer of sorts) and so I decided to give it a first hand try. And I got to tell you, I was impressed. It was like the top games for non-gamers in Linux we had featured here before, slick, simple and addictive, all at the same time. As noted before, Temple of Tangram is a very simple and very addictive puzzle which is freely available for download for Windows, Mac and Linux. One thing I really liked about this game is that, it requires bare minimum hardware specs. Even my nearly 4 year old laptop could run it without any bumps or friction. As with the case of most puzzle games, don't expect too much eye candy. 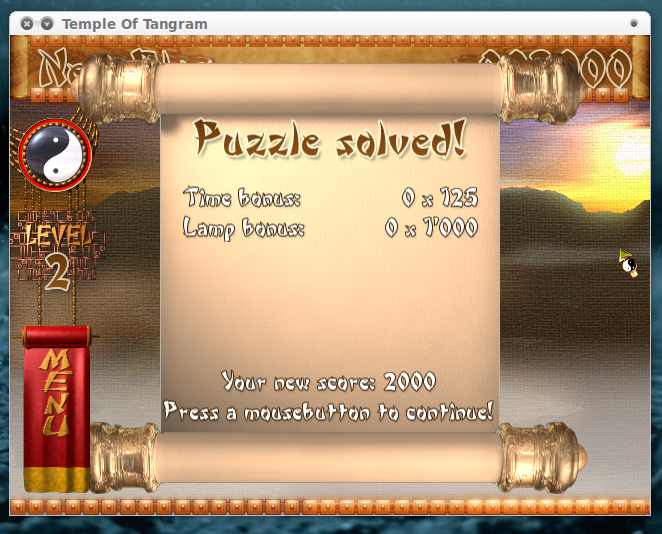 Temple of Tangram just works and its very addictive. And I had a tough time concentrating on this article since the game was running on another window. But still, if you ask me which is my favorite puzzle game for Linux, I would say, its World of Goo and Pingus, both of them featured here. Original puzzle inlay fun for all ages. An option to create your own puzzles if you want. It is really good to see developers starting to seriously consider a Linux variant of their applications. A special thanks to all behind Temple of Tangram puzzle game on behalf of my readers and myself for that. And if you are wondering, the GTK theme I was using is called Orta GTK theme, which is my current choice of theme for Ubuntu.